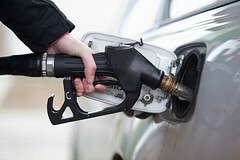 WELLINGTON – According to opposition parties and advocacy groups, New Zealand’s rising fuel taxes are a political sham and an indication of the government’s indifference to living costs. The issue of rising petrol prices is heating up again in New Zealand, and upcoming tax hikes are one of the major factors behind the discussion. In a recent media interview the chief executive if the Road Transport Forum NZ, Ken Shirley, said that the upcoming tax hikes on petrol are a political sham. Since July this year, New Zealand’s biggest city, Auckland, has seen a regional fuel tax levied at a rate of NZD 0.115 per litre of petrol sold. In addition to the regional tax, the government intends to introduce a series of hikes to the national fuel tax, which will total approximately NZD 0.12 per litre of petrol sold. Ken Shirley indicated that the fuel tax is likely to not be contained in Auckland, and will be felt at petrol pumps throughout the country. The opposition party, the National Party, has claimed that the series of regional and national hikes to fuel tax is indicative of the current government’s indifference to the cost of living faced by New Zealanders. The average price of a litre of petrol in New Zealand is approximately NZD 2.39 per litre, with approximately 52 per cent of the price being made up of various taxes.